My legs made it through this marathon pretty well this time. They are still a little tired but not sore any more. My plan is to start running next Monday. I think there is a local 5K on the 19th that I might run. It might be tough to PR since I'm sure my legs will still be a little tired. There is also a 10K on May 2 in my hometown that I might go and run. I'm looking to break 20 and 42 on these two races but it may not be possible so soon after the marathon. 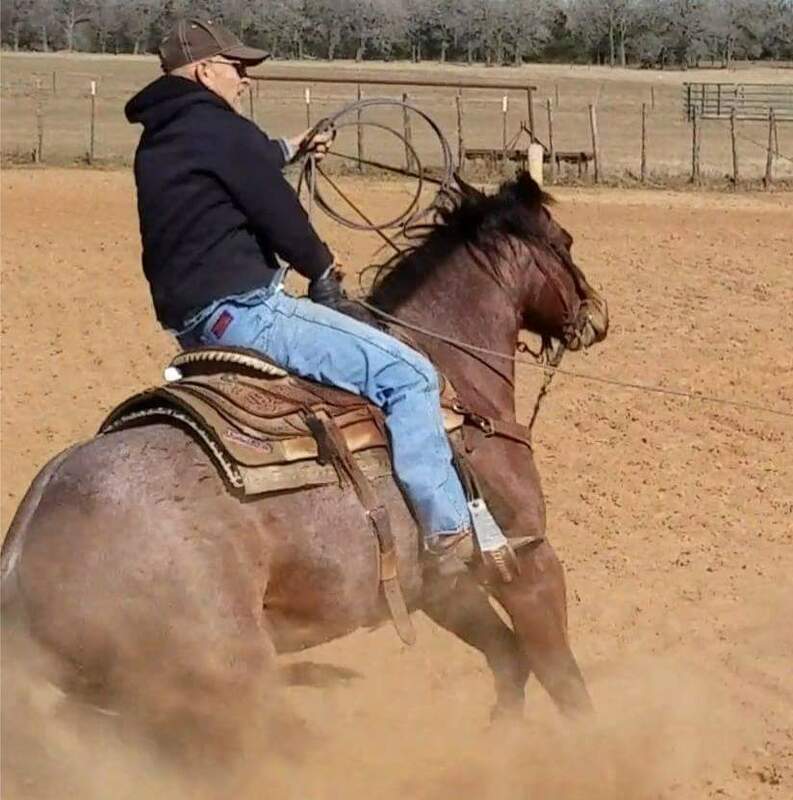 Good roping event coming up this weekend...I need to be at the top of my game! Obviously I haven't recovered from the marathon yet. My legs are still tired. I don't know why I log miles as "Easy Miles". When I run this slow it just seems like torture. It seems to make me more tired than running fast(er). My goal was to keep my HR below 140. It's obvious I have a way to go before being recovered, I have run this same route at this HR goal and averaged 8:50 pace. 9.25 miles @ 8:16 Pace - HR 148. 4 Even when you are old I will be the same. And even when your hair turns white, I will help you. I will take care of what I have made. I will carry you, and will save you. So today's run was 7 miles @ 7:42 pace. I didn't go for a record time on my 7 mile loop and I didn't revert to an old man's pace... just stuck with a respectable marathon pace. I don't really have any plan for running right now so I'm just getting up and then deciding what to run and how long. The problem is I was an hour late to work today....I can't make a habit of this. I want to run some long, really slow miles and try and keep my HR below 140 but I just can't seem to do it. As soon as I get started I just don't like running that slow. On some of the hill I almost have to walk to keep it that low. After mile 4, which has a big hill, I just gave in and ran what I wanted to run! Big Loop, out to end of chruch road, smallville, then out and back small loop to make 16. 24 For in this hope we were saved. But hope that is seen is no hope at all. Who hopes for what he already has? 25 But if we hope for what we do not yet have, we wait for it patiently. This was the BEST run I've had in ages....! I got to run 2 miles with my daughter Callie. She's back from college for a few days before leaving for the entire summer. She will be a counselor at two Centrifuge Camps this summer working on the drama team. Callie has been struggling with her running....maybe you guys could help figure out what's wrong. About a year ago Callie started having trouble with her feet. She ended up with a fracture in one of her feet (we had it x-rayed), she laid off for several weeks, started running again and then acquired another fracture. After lying off several weeks again she went to a foot doctor who prescribed orthopedics and had them custom built for her. She then began to run with the orthopedics (which she says were very uncomfortable) and things seemed okay for a while. I don't know the exact timing but I believe after a couple of months she then started having lots of trouble with shin splints. These were very painful and slowed her running down quite a bit but to top all this off, now her calves seem to tighten up like rocks when she run. Her runs have been only 2-3 miles each time she runs but if she runs more than a couple of days she basically has to lay off for a week. Today I told her to just take the orthotics out of her shoes and see if that helped. On top of all this, she has been to Luke's Locker and she's tried two different shoes (per their recommendation) to try and help the problem. If anyone has any advice it would be greatly appreciated. I ran 7 miles by myself and the 2 miles with Callie to make a total of 9 miles. Everything feels pretty good. I seem to be getting some of my speed back. I really enjoy having someone to run with even if it is only a couple of miles. I have added a schedule of possible upcoming races for my in the next few months to my profile. We'll see if I can stick to the plan! First run of a new RLRF training series. Rye and I are doing the 16 week marathon training program for a 3:16 marathon. This is going to be fun running with him "virtually" and also comparing my workouts with the last ones. Today I was really dreading the start as I have been very busy the last couple of weeks and not gotten much rest. I've just been tired! Physically I am doing good with no issues right now. When I finally drug myself to the track and started running I actually felt pretty good. As you can see I overdid the first mile, realized it, and compensated on the second two miles. My warm-up and cool down miles felt pretty easy at low 8:00 paces. I ran 3 miles on the cool-down instead of my usual 2 since I felt good. Now I'm looking forward to the next run! Repeats - 10-20 Min. Warm-up, Stretch, 3 x 1600 @ 6:15 pace, 1 Min. Recovery between each, 10 Min. Cool-down. Started out my first mile too fast. Wondering now how fast I can run a mile. Felt really good after the entire run. 16 So Jonathan made a covenant with the house of David, saying, “May the Lord call David’s enemies to account. ” 17 And Jonathan had David reaffirm his oath out of love for him, because he loved him as he loved himself. This week is tough because I have something every night of the week, also Callie's home so I've opted to run short with her on my cross-training days. 2 I want you to know how much I am struggling for you and for those at Laodicea, and for all who have not met me personally. 2 My purpose is that they may be encouraged in heart and united in love, so that they may have the full riches of complete understanding, in order that they may know the mystery of God, namely, Christ, 3 in whom are hidden all the treasures of wisdom and knowledge. 4 I tell you this so that no one may deceive you by fine-sounding arguments. Work-out #2...RLRF Program. Everything was good but it still felt a little harder than I though it should feel. I briefly thought about running 3 tempo miles but at the end of 2 I decided I wasn't ready for that! I went back and read up on how to do a Tempo Run and I'm actually doing it wrong. It says you should "gradually increase during the easy miles, so that you are close to tempo pace by the end of the warmup". As you can see I just ran slow and then sped up for the two miles. I also took a couple of minute breather after the 2 fast miles, before I started my 3 cooldown miles. No wonder I can't run a 3:16 marathon, I'm doing it all wrong :-( ...And what is warmup and cooldown pace anyway?? I was thinking this run would be easier. Everything felt good, it just took more energy than I thought it would. 9 And he said to them: “You have a fine way of setting aside the commands of God in order to observe your own traditions! 10 For Moses said, ‘Honor your father and your mother,’ and, ‘Anyone who curses his father or mother must be put to death. This was supposed to be a cross-training day but I opted to run 2.5 miles with Callie. She's only home for a few days and then off to work church camp for the entire summer. Another kinda off day from my training program. I don't have time for cross-training in the evenings so I've just been running a little in the mornings. I ran one mile fast...just for fun. Target: 2 Slow and 1 Fast mile, 1 slow. Well I didn't quite hit the Sub-20 mark today but it was a decent effort. 20:19 beats my old PR by 50 seconds. The race had 111 runners, several high school and a few college kids. I wasn't familiar with this course so I got there a little early and ran the course as a warm-up before the race. I thought it would be more hilly but it really just had some rolling low hills. The first mile of the race has a decent uphill climb for the first half mile. I started out about 10th in the pack. At about the half mile mark I was running about a 6:15 pace but decided I needed to slow down a little ending the first mile in 6:27. The second mile was mostly flat. The main pack had run out in front of me but three guys were starting to fade from the main group. I passed two of them on this mile. I ended up running a a 6:34 on this mile and thought that was good enough. The third mile was almost all an uphill climb, ever so slightly, and just enough to make me slow down a little. I didn't really realize I had slowed to a 6:44 pace until I hit the 3 mile marker and saw the time on my watch (uh..oh...I'm in trouble). I did pass another guy or two on this mile. No one ever passed me in the race so I was kinda running alone the whole way. You couldn't see the finish line until right at the 3 mile mark and at this point I started to kick running the last .1 in 32 seconds. 20 seconds off my Goal but still a 50 second PR. I'm sure I can hit my goal on the next 5K. I'm thinking the warm-up was a little too much since I was dripping with sweat at the end of it. It was about 75 degrees and very humid. My legs didn't feel like they had much spring in them after the warm-up. 3 Warm-up miles and 1 cool-down mile. Callie (my daughter) also ran today and won 3rd in her age group. She took it very easy and was just running for fun... Her legs are getting much better. I'm working on my E-Pad so I can't download my spreadsheet. Today was the second track workout on the RLRF program. I warmed up for 2 mile @ 7:55 pace then ran 5 x 800 @ 2:51 avg pace. My Hr avg was 163. I then ran 2 mile cool-down @ 8:30 pace. I took 2 minutes rest between each 800. The scheule called for 4 but I ran 5. Last time I did this workout I ran the 4 800's in 2:59. The training calls for 2:58. Callie was with me and ran a couple of 400's. Her legs are feeling good, now that she's taken the orthotics out of her shoes. Hopefully she can continue with any more pain or injury. We are going to go and buy her some more shoes today that have a little arch support in them....any suggestions...??? "for all have sinned and fallen short of the glory of God. " Today was supposed to be a cross-training day. I just ran 2 easy miles with Callie and called it a recovery day. Tempo run on week 2 of the RLRF program. Last time I did this same run I ran a 7:19 avg. pace but the temperature was 49 degrees and not 77 degrees. I felt pretty good throughout the run but after the 5 mile tempo I started to really feel tired. I was probably dehydrated some from the heat and humidity. Tempo run - 1 Warm-up, Stretch, 5 @ 7:26 pace, 1 Cool-down. Notes: Was very hot and sweaty. Walked on some of the cool-down. In reply Jesus declared, “I tell you the truth, no one can see the kingdom of God unless he is born again. Today was supposed to be an off day or a cross-training day but I decided to just go out and run a few miles instead. I don't have time today to bike and I've really done no cross training in the last couple of weeks so I didn't think a few extra miles would hurt. Callie is gone so I'm again running by myself. The only excitment is my new neighbors have gotten inspired by seeing me run and now they are walking almost every morning. I at least get to say "Hi" as I run by them.